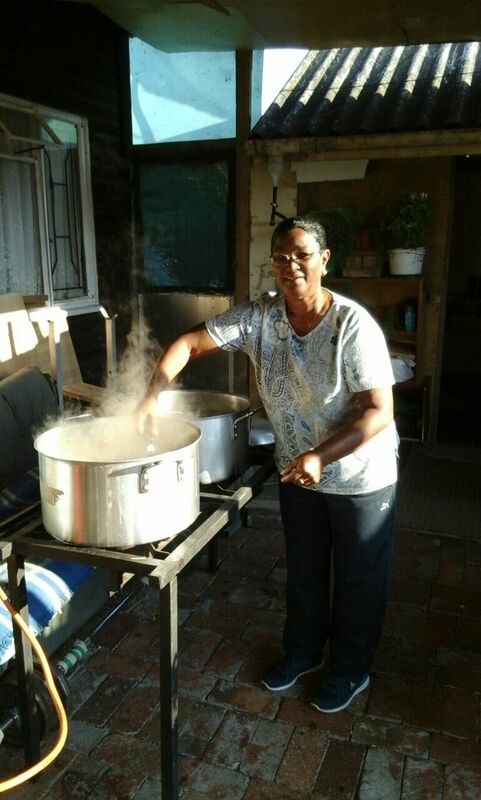 The Outstation of Lamotte and Wemmershoek have started their soup kitchen for disadvantage families. Soup kitchens will provide food for 150 beneficiaries per day on Tuesday at Wemmershoek and Thursday at LaMotte. Soup Kitchens at St Giles, St John’s and St Simon’s are possible with donations from Mr & Mrs Ogle and St George’s Parish. We also support up to 46 households across the parish with food parcels. Appreciation is expressed for the time and effort of donors, volunteers, members of congregation and Church Leadership for making this possible.